Eleaf Melo 3 Mini Tank 2ml is a mini version of Melo 3 atomizer 4ml.It can bring you excellent vaping experience. Eleaf Melo 3 Mini Atomizer 2ml is a mini version of Melo 3 atomizer 4ml. It comes with 2ml capacities, like the Melo 3 atomizer, it can also bring you excellent vaping experience. But its size is much smaller than Melo 3, and it is much more convenient to take out with you. It fit perfectly fine with istick pico 75w mod. And the 22mm diameter and 510 thread can fit most of the 510 threaded batteries and mods as well. Here’s another improvement compared to Melo 3 atomizer, the thread of the atomizer which connected to the mod is plastic, so it can be heat-isolated. 7 colors for you to choose. Screw back the cap onto the Melo III mini. Mount the atomizer head onto the atomizer base tightly. Screw the atomizer tube onto the base tightly. Assemble together the top cap and mouthpiece. 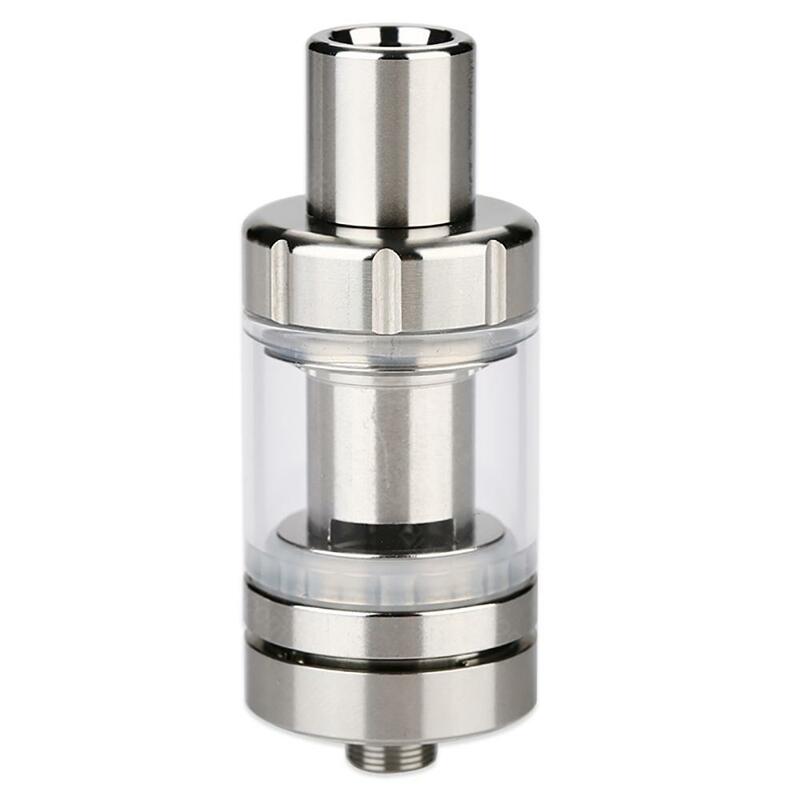 You can adjust the airflow by rotating the airflow control ring on the atomizer base, clockwise to increase and counterclockwise to decrease airflow. • 510 thread, fits most 510 thread batteries. • Quick link: Eleaf EC coils 0.3ohm/0.5ohm, 0.15ohm Ni200, 0.5ohm Ti and ECR coil. the product is very beautiful in my hand atomizer very small stands. Kutusuda just as small. our product is original. in doubt not. 17 days of shipment. is a little long. sabretsin receivables. 0.3 ohm and 0.5 ohm coil turns out from within. i dazzling models namely multi color model you have chosen. i would recommend. Product as describe (Verified and it is official eleaf product) - Fast Shipping and Delivery (12days) - Good Seller I get black, but I will buy a dazzling color to suit my new mod. Detachable Structure.